Tonight orange is the new black! 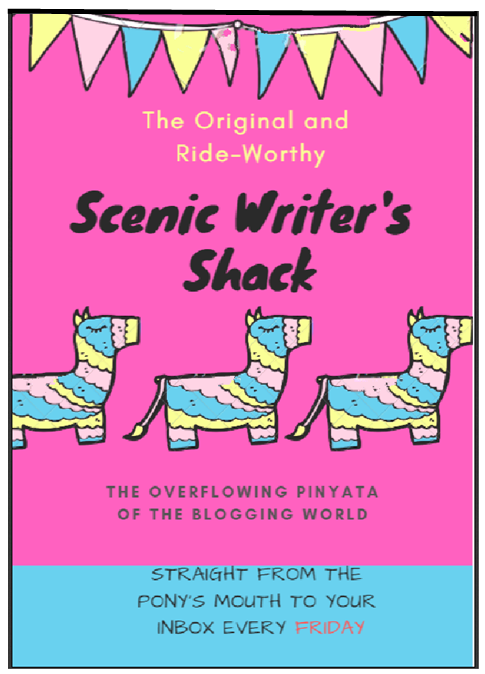 Here at Scenic Writer’s Shack we’re all about fun and we’ll take it anyway we can. Tonight is Halloween but this year I’ll be locking my doors and keeping the ‘fun’ outside. That time-honoured ‘switching off the lights and pretending you’re not home’ method of ‘enjoying’ the evening will be in full swing at our place. Last year we ran out of ‘candy’ for the pint-sized door knockers pretty quick but then had to continue answering the door empty-handed for the next few hours. That led to some awkward renditions of ‘witch face’ played out on the doorstep. Speaking of witches, a couple of them got inside the barricade early this morning. This still from an internal house security camera shows what was captured on film. No doubt a breach of this magnitude is sure to make its way onto the agenda at our end of year home security audit. When it comes to protecting your own amidst the sanctity of one’s castle, ‘vigilance’ as they say, is key. Lesson learned. Up until around maybe 10 years ago, Halloween, the word itself meaning ‘holy evening’ and whose first usage dates back to 1745, was never really a thing here in Australia. Over more recent times however, ably supported by the retail and merchandising industries, Aussies have shown they’re up for ghoulish fun as much as the next person. In 2006, Brisbane started its own Zombie Walk in aid of Brain Research and as this video proves, we can now apply splatter makeup and attach gouged eye balls en-masse as fiendishly as any city worldwide. Now to my Halloween story, which is really what I’ve been building up to all along. A vampire bat came flapping in from the night covered in fresh blood and parked himself on the roof of the cave to get some sleep. Pretty soon all the other bats smelled the blood and began asking him where he got it. He told them to all go away but they persisted until he finally gave in. Enjoy the festivities, and if you have children remember this: tonight is one of the few times you’ll be able to legitimately convince other people your kids are the little monsters you often claim them to be. Not sure how a mistake of those proportions got past the mildly OCD-bolstered eye of the editor of this blog, but naturally that headline should have read HAPPY WORLD TEACHER’S DAY. The world inside the classroom rarely gets a mention on SCENIC WRITER’S SHACK and that’s the way I intend to keep it, but today marks an exception. World Teacher’s Day stands solid as a deserving acknowledgement of those individuals who play their part in helping guide and shape future generations in our increasingly complex, multicultural and technological society. As managers of the greatest resource on the planet – young developing minds – teachers, as the old saying goes, affect eternity since they can never tell the full extent of where their influence may reach. Gosh, a person would never get out of bed in the morning if they thought too much about the weight of that responsibility! For anyone who believes I may have my dates mixed up, here’s the information-scented portion of this post. World Teacher’s Day is celebrated in over 100 countries and has been on the International Day Calender since 1994 when the United Nations brought it into being. It falls traditionally on October 5th but in Queensland, Australia we commemorate the occasion on the last Friday of October since October the 5th usually occurs here during the school holidays (which it didn’t this year). In honour of the occasion, I wanted to include some sort of vaguely humorous story about the teaching profession. I found it when trawling through an on-line teacher forum. These are the words of a Prep teacher describing the uneasy working relationship she has with her teacher aid. The final line is definitely worth reading to the end for. On this particular day I got to work…quietly. My aide came in all bubbly, ready to talk. I gave yes and no answers. Her response..”Oh, you’re a late riser I see.” After a while, she realized I was not going to talk the entire day, just work. I am a bit perturbed by this “we always…” stuff. Because good co-worker should understand and respect that new people sometimes do things differently. But the bigger issue is to take something off my desk and put your name on it, without asking me first. The kids are what’s important…seeing your name is not. What gives her the right to put her name up there with my last copy, especially if you noticed I wasn’t finished, and MY name isn’t up there. I didn’t leave her name off on purpose…I wasn’t finished! Now, I have to white out her name to make more!! I am disturbed by that line of thinking… That is not initiative to me. That is going ahead with something because that’s how you want it. I agree that it is great to have a partner, and someone who is able to share the load. My issue is with people who are more interested in running the show, and not ready or willing to have their own class. If you are content with being an assistant..or co-teacher, then that is fine. But when you start taking matters into your own hands…that is drawing a line…especially with a new teacher. I think new teachers need to understand and find their way, and will begin to bring more into the classroom. But I know I personally have trouble with my aide trying to get me to do things her way. And, she sees I will not be talking all day, (which I saw was part of her attempt to change the subject) while she tries to convince me to do what she likes. Less words, less discussion, more work. and I know it’s our room. But it is my class. I have to do things that work for me. Make it work for both of us….yeah, okay.. but, how can I work in your fast lane? Swear to gawd, hand on heart, I did not make that up! I’ve heard a few first hand stories over the years, including the one about the teaching partners who shared a class – one working two days a week, the other working three days a week – who used to drive each other crazy because one would always leave thumb tacks and paper clips mixed in the same box in their shared desk, but that one ‘leaves’ me near doubled-over with laughter. As always, funny when it happens to someone else – not so funny when you find yourself the main character. PPs. I like a good mystery as much as the next person. So it is with an uneasy mix of pride on the one hand and loss of face on the other I report that I am currently on the case of one such real life puzzle that’s proving quite the unguessable charade. A month ago, on the occasion of Ariana Grande visiting Brisbane to play her sold out concert, I wrote a post (here) comparing the koala-boasting charms of Lone Pine Koala Sanctuary with those of Australia Zoo. I mentioned that for many years I had owned a black and white photograph of myself, aged around six, holding a koala on a day out back in the 1970’s at Lone Pine Koala Sanctuary. Band T-shirts – How old is too Old? How old can you be and still get away with wearing a band t-shirt? This is the question I’ve recently begun to ponder for reasons I’ll outline later. First, lets examine the evidence from the pictures above. So what got me thinking on this weighty matter in the first place? A few months ago a chap visited my workplace to inspect the installation of some impossible-to-injure-yourself-on playground equipment. I’d guess he was aged somewhere in his mid forties. He was the foreman. This guy was dressed in steel caps, black denims and… a KISS ‘Destroyer’ (the name of the band’s fifth album) t-shirt. He was tall, lanky and came with the requisite builders tan and face stubble. And I’ll come right out and say it… in that t-shirt, he looked good. Not ironic good. Not trying hard to look good good. Not even good for his age good. Just plain old-fashioned smart. Street smart if you will. Naturally it got me thinking – could I pull off a similar look? Having the wise money spending habits of a Mexican drug runner with a bank overdraft, I’m not usually allowed anywhere within 50 feet of regular withdrawals from our accounts, but what I am green-lighted for is requests come birthday and special occasion time. August saw me celebrate the 30th anniversary of my 21st birthday and Christmas is still months away, but I’m happy to report neither of those untimely obstacles has stopped me casting a serious eye over all 109 varieties of KISS t-shirts available from the on-line shop portal of the band’s website. For those of you who are amazed at the news that this group of hard-rockers who near ruled the world back in the 70’s are even still around let alone have an active website, truth is, much to the delight of their millions of fans worldwide, they never really went away. From those 109 designs, I’ve now reduced it down to choosing from just six. And before you say “Could you honestly get any more ridiculous?”, let me briefly make the case for why each one has a different reason to recommend it. A. Wearing a t-shirt emblazoned with the words “The Spirit of ’76”, no one could possibly accuse me of not acting my age. B. With this tastily-inspired Halloween-themed choice at least I’d have a legitimate one day a year I could claim to feel entitled to wear the thing. C. I have absolutely no ties whatsoever with the country of Italy but I do like the colour scheme. Isn’t that enough? D. Even the most skeptical among you would have to agree this does tie in rather nicely with my professed interest in movies. F. Japan and I have a love-affair dating back to the early 2000’s when I lived there for three years so this one is a strong contender. Bear in mind the last time I wore a shirt bearing the image of a music artist on the front would have been around the summer of ’84 (from memory we’re talking about a little black and white number with Deborah Harry‘s face on it). But life is circular after all, so here I am, 33 years later considering my options. If you can provide anything resembling clarity on this matter, the comments box is down below, where it always is, awaiting your gems of wit and wisdom. And to those who think this whole topic is just a bit too adolescent, even puerile, I say – give me some credit. At least I’m not thinking about forking out for a KISS pinball machine! Ps. On a completely unrelated note, raise your hand if you’ve heard the name Stephanie Chiocci. Could possibly be a slow internet connection but at the moment I’m not seeing many hands up. Stephanie, at age 29, is the inaugural captain of the Women’s Collingwood Football Club. She played in all eight games of the debut Women’s AFL Season that kicked off on February 3rd this year and concluded in late March with Adelaide being crowned as the very first premiers. Next year the competition is set to expand to ten teams with the admission of Geelong and North Melbourne. A Women’s Gold Coast team will join the comp in 2020. Pss. Accolades have been flowing in this week for 58-year-old Texas born American writer George Sanders. His debut novel LINCOLN IN THE BARDO has beaten a field of 144 other submitted novels to win this year’s Man Booker Prize. One of the world’s richest literary prizes, the Man Booker has been running since 1969. The ‘Man’ in the title comes from the London investment company that stumps up the prize money each year. Sanders, previously the author of four short story collections, will receive the equivalent of $88 000 (AUD). LINCOLN IN THE BARD is a story set in a graveyard that unfolds in a single night. The book features narration by a total of 166 different voices. This is at least 150 more than I have currently clamoring in my head. By George that’s definitely what you call fully weaponised characterisation! In less formal surrounds, George probably wouldn’t be above wearing the occasional Kiss t-shirt himself. Recently we had new neighbours move into (and buy) the house next door. Or, as I should more accurately put it, they are Japanese-born Australians. On first meeting I mentioned to them that in the early 2000’s I had lived in Tokyo for three years and had very fond memories of my time there. I added that if I could live in any other country besides Australia, it would be Japan. I cited reasons for this choice as being the politeness of the people, the feeling of being safe walking down the street and their artistic tradition that transforms the look of everyday things into objects of beauty. The conversation that followed confirmed that they too loved their country and it’s ‘national character’ but couldn’t but hold a more multi-dimensional, dare I say less ‘tourist-y’ and more ‘world-weary’ (informed) view of Japanese society and it’s people than I had just given voice to. We have all heard vacationers come back from an exotic locale with tales of how wonderful the locals are. Often, these exclamations characterize, unhesitatingly, an entire nation: “Everyone is soooooo nice in Vietnam!” Or, “I just love Fiji , the locals are so happy and carefree!” It can be hard to argue against these impressions, particularly since the people who express them are speaking from personal experience. The impressions we form about entire groups of people based on limited interactions are very strong, and easy to generalize. I’m old enough to remember back when Queenslanders were seen as more friendly and laid-back then their southern counterparts down in Sydney and Melbourne and when this was actually true. Somewhat sadly I’m inclined to think that time may have passed and we’ve now largely caught up to our southern cousins in the impersonal and ‘left humanity for good’ stakes. I’m also of an age that allows me to recall jokes that began with the line – “An Irishman, an American and an Englishman walk into a bar..” You don’t hear many of those any more either. Racial characteristics (both physical and to a lesser degree social) still and probably always will exist. But with the birth of the ‘global village’ (a term first coined in the 1960’s by Canadian-born Marshall McLuhan) and mass migration of people’s to and from countries from all corners of the globe, the old stereotypes seem increasingly morphed almost beyond recognition and relevance. So has globalisation (the merging of economies and linking of trade markets across continents) made a more homogenous world? It’s a disputed fact that leading metro cities across the globe (apart from a few iconic landmarks) look pretty much the same in any country now. On the other side of the coin, historically, the establishment of new trade links has always led to an intermixing of cultures, with rather interesting results. The great social experiment continues. It is, as they say, ‘a work in progress’. For the moment though I’m gonna rest. All this serious talk has delivered me one whooping great multicultural headache! The aspirin, disprin and Panadol tablets stopped working for me years ago, so I’ll be reaching for my little pink Korean pills. They have me singing the praises of sweet diversity every time! Ps. Did someone mention crazy relief teachers? I’ve met a few in my time but perhaps none as unashameably left of center as those featured in Matt Porter’s CRAZY RELIEF TEACHER’S novels. He’s got a new title in the series and this time the substitute is a super model. Don’t ask me what someone who wouldn’t get out of bed for less than $10 000 a day would be doing reading from the travelling pedagogue’s playbook, but there you have it. Actually, just yesterday I met a relief teacher who was a former Miss Australia (true story) so the idea may not be so outlandish. Ps. In other literary type news, click Here to find out the winner of the Queensland Book of the Year Award. Not your everyday run-of-the-mill-hand-it-straight-to-my-seven-year-old-daughter-on-the-way-to-the-bin type of letter but rather one from the right-royal-looking-lady- wearing-the-old-school-brooch-in-the-photograph type of letter. 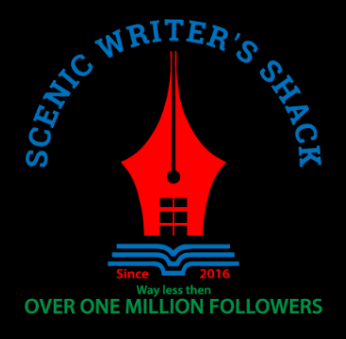 It is my great joy and privilege to offer you congratulations upon the occasion of your blog SCENIC WRITER’S SHACK (the ‘Scenic’ part comes to mind whenever I look out upon the Palace gardens and to a far lesser extent the servants quarters at Balmoral castle) attracting its 100th follower. While I shan’t necessarily be pressing the follow button myself anytime soon, I have recommended it to the young princes William and Harry, who may be a little more predisposed to its content than I. Let us wait and see if anything eventuates for you in that area in the future. From myself and everyone here in the lap of luxury at the Palace, we wish you the sincerest of felicitations and look forward to congratulating you again at the time of you recording your 200th follower – which my staff inform me, based on your present rate of membership takeup, is calculated to be by the latest April 2021. 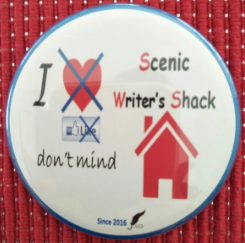 A toast to SCENIC WRITER’S SHACK and you, Mr Donaldson. One for the trophy room, I think you’d agree. Though I have to admit I don’t know which surprised me more – to actually receive the letter in the first place or the fact that Buckingham Palace missed such a glaring typo as that ‘in the lap of luxury’ clanger. Makes you wonder what qualifications you need to be a royal proofreader these days. Still, with an estimated 300 million blogs posting their words up on the all-singing all- dancing blogosphere, it’s not everyone that can lay claim to having reached the milestone of 100 followers is it? 299 999 999 of them maybe, but not all! I’m therefore shamelessly taking this moment to don the party hat and streamers and celebrate the occasion. In the midst of all the celebration though I do spare a thought for those poor soul bloggers with the 9 and 10k size followings. They must have wallpapered every wall and ceiling of every room of their house ten times over by now with all those letters from Her Majesty. As her Royal Highness herself might say, “Poor dears”. PS. Quote of the week goes to British writer Kozuo Ishiguro (author of seven novels, including his most famous REMAINS OF THE DAY (1989), who, upon being awarded this year’s Nobel Prize for Literature remarked that he was ‘flabbergastingly flattered‘. PPS. The movie BLADERUNNER 2049 opened in Brisbane yesterday. A penny for the thoughts of anyone who’s seen it or is intending on seeing it. PPPS. Back in 1986 I attended a Bob Dylan (last year’s winner of the Nobel Prize for Literature) concert in Brisbane at the old Lang Park (now Suncorp Stadium). It was part of Dylan’s TRUE CONFESSIONS tour. Also on the bill was American singer/songwriter icon Tom Petty and his band The Heartbreakers.